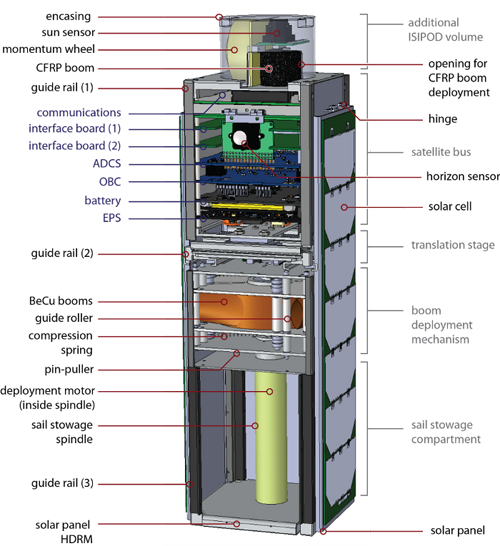 CubeSail is an exciting, ground-breaking educational satellite project at the Surrey Space Centre (SSC) that hopes to launch into a 680 km Sun Synchronous Orbit (SSO) from India in December 2014. • Technology Demonstration 1: Deployable Sail- The CubeSail satellite will deploy a large (up to 5×5 metre) square aluminised Kapton sail, using novel CFRP deployable booms. 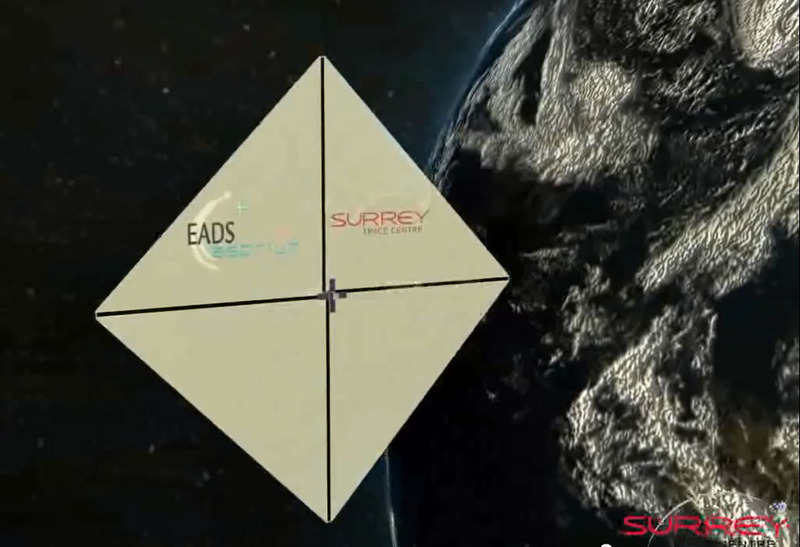 • Technology Demonstration 2: Solar Sailing – The CubeSail mission will demonstrate ‘solar sailing’ in LEO by utilising the solar radiation pressure on the reflective sail to change its orbital inclination. • Technology Demonstration 3: Attitude Control CubeSail is equipped with 3-axis-stabilizing attitude determination and control system. A novel capability of this system is pointing via a centre-of-mass/centre-of-pressure (COM/COP) offset. • Technology Demonstration 4: Drag Deorbiting -The satellite will deorbit much more quickly than otherwise due to its deployable sail. Satellite pointing will be optimized by the attitude control system for maximum drag.